Stroke, a brusque interruption of blood supply in an area of the brain, has a sudden and frequently devastating impact on both patients and their families. Although stroke is most common in older people, it can occur in individuals of any age, including young adults and children. Fortunately, the prospects for preventing and treating stroke are far better than they were just a few decades ago. However, a lot of challenges await physicians and researchers in terms of prevention, pathogenesis and treatment. 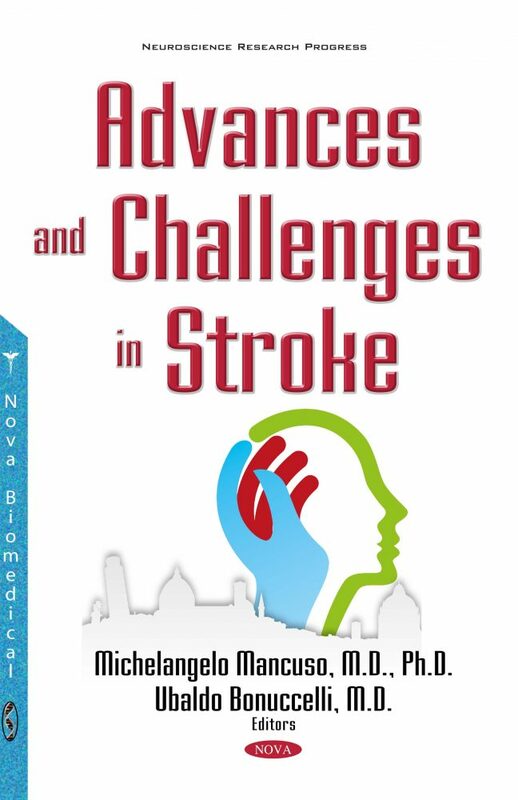 Stroke remains a high priority medical condition for our society; globally, about 15 million people suffer of cerebrovascular diseases, with stroke being the most frequent life-threatening neurological disease and the third cause of death and disability. The authors of Advances and Challenges in Stroke hope to guide readers through the complexity of stroke pathogenesis, from the molecular basis to the most recent advances in terms of pathophysiological cascade leading to cell death. Through the expert opinion of Italian and European researchers, multiple aspects will be explored, including the etiology of juvenile or cryptogenic stroke, correlations between the heart and brain, state-of-the-art telemedicine in reducing door to needle and decision-making time, and the contribution of modern neuroimaging techniques and surgical/endovascular treatment in the hyperacute stroke phase.